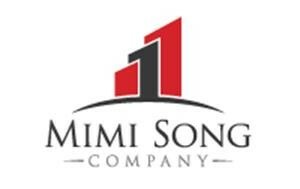 Mimi Song Company’s site selection services are driven by an industry leading in-house GIS system which has been refined over the course of years of client work. Our proprietary GIS allows us to see opportunities and constraints in a way that most brokerage firms, relying on widely available software like Google Earth, simply can’t replicate. This technology allowed us to become a leading provider of site selection services for solar energy firms, although we utilize our system on every transaction – whether commercial, industrial, or residential. With 20 years of experience making deals in Southern California, we’re a known and trusted name in the land market. Mimi Song made a name for herself by becoming one of the premier brokers in the High Desert market and that tradition continues today. Many of our current sales represent the third of fourth time that our company has brokered a sale on the same piece of land. That institutional memory gives us an ability to represent clients in a way that few brokers can. Whether it’s the sale of raw land, finished lots, commercial corners, or solar energy sites, we bring our experience to the table for the benefit of our clients. We’re regularly called upon to assist clients in a variety of capacities over the course of the ownership of a land asset. Our experience and knowledge in the market give our clients a strategic advantage in buying, owning, and selling land investments.